Kamal Haasan isn’t the person who would simply praise someone unless they have done a good job in their movie. And, even if it’s his own daughter Shruti Haasan it’s tough to gain his accolades. Shruti Haasan is quite happy now after she screened her movie Behen Hogi Teri to her father and a couple of close friends in a special show in Chennai. 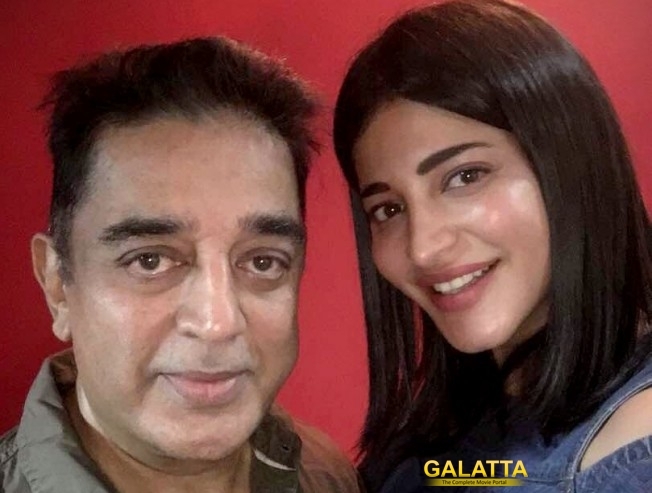 Kamal gave his own comments and applauded Shruti for her performance in the movie. “He has always been my biggest critic and advisor. I am glad to show my film to him which enjoyed by my friends as well as my dad,” said Shruti Haasan after the show.